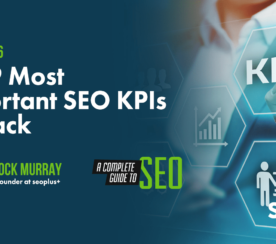 Most of us in the search industry are pretty much aware by now that simply tracking individual keyword rankings to determine performance is all but a dead SEO practice. This scene is played out for a variety of reasons, due largely in part to personalized search and Google serving search results based on a searcher’s physical location. With that said, I personally have a hard time believing that most people are willing to ignore keyword rankings altogether – nor do I think we should. Benchmarking rankings for specific keywords and tracking progress over time is still a very valuable exercise. However, focusing only on rankings is far less than ideal. So what other metrics are folks using to track the effectiveness of their SEO efforts? I will expand on a few, but please, feel free to share in the comments as well. 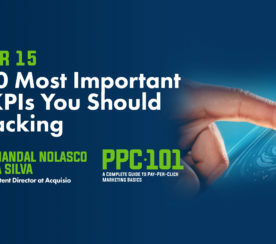 In general, it’s best to correlate keyword rankings with traffic. But not only is it a best practice to track organic visits from targeted keywords, it is a best practice to capture their long tail counterparts as well. In other words, think of your targeted key phrases as the “base” and track search engine visits from all variations of a given base keyword. Often, when traffic begins to increase from long tail search queries, it is an indication that search engine optimization progress is underway. 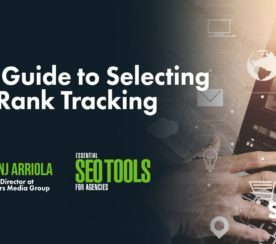 In addition, tracking long tail traffic in relation to targeted keywords will help to illustrate the value of your SEO efforts until you have obtained better visibility for the more competitive, high search volume keywords. One recommended approach is to segment tracking between “exact match” targeted keyword rankings and keyword category traffic. This refers to a standard approach: perform thorough keyword research and identify the top keywords that represent your products or services and track their rankings. Cross reference organic traffic from these “exact match” keywords to monitor growth as rankings improve and to ensure those keywords are converting into leads or sales. Tracking keyword categories captures the long tail of traffic to paint a more holistic view of how these categories are actually performing. A keyword category can be created by lumping a group of related keywords into one comprehensive “bucket” that makes up a given category. Keyword categories can be very simple. For example, a Review category could simply consist of all search engine traffic that came from queries that contained the word “review”. Keyword categories can also be more complex however, for example a Television category could consist of all search engine traffic that came from queries that contained the word “television” and/or “hdtv” and/or “flat screen” and so on. These categories can be created in a manner of minutes by using Google Analytics Custom Segments. You may also consider categorizing your exact match targeted keyword rankings to match your keyword categories for tracking the long tail. With this approach, a separate ranking report would be run for each category and then appropriately cross referenced with long tail keyword traffic. In graph format, one axis would contain exact match keyword rankings and the secondary axis would contain that category’s long tail visits. So there you have it. A relatively simple approach to tracking long tail traffic and mapping it back to optimization for specific keywords. There are other metrics to trend as well, such as the number of keywords and the number of landing pages (mainly for very large sites) that drive organic traffic. It wasn’t too long ago that analytics solutions were not able to provide such customizable and flexible reporting features, so take advantage if you haven’t already.